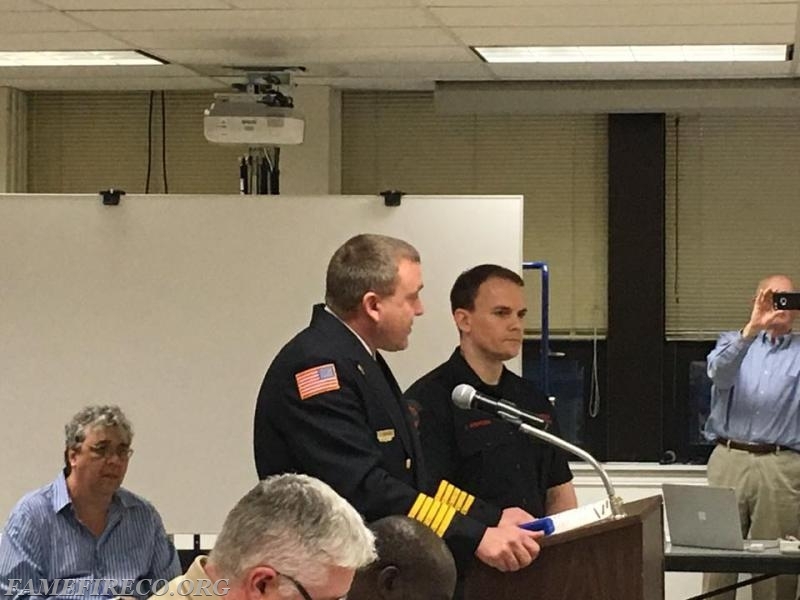 This evening, members of the West Chester Fire Department attended the monthly meeting of the West Chester Borough Council as FF Jamie Harkins was awarded the Medal of Valor. On November 11, 2017, FF Harkins was in his personal vehicle waiting at a traffic light when a horrible scene unfolded before him as a tractor trailer overturned and crashed into multiple cars, and then bursting into flames. He ran to the most seriously damaged care to find two people trapped. Without the benefit of personal protective equipment, FF Harkins successfully rescue the front seat passenger who was trapped in the new burning car. FF Harkins sustained minor burns as he attempted to rescue the trapped driver of the burning car. Sadly, he was unable to do so and the driver perished. FF Harkins was recognized tonight for his swift action and courage in rescuing Amy Yozviak from certain death. While we mourn the loss of Amy's friend, Adam Swope, we are grateful that Amy is alive and well. and that FF Harkins as returned to serving the community. We thank Amy and her Mom for visiting with us at Fame afterwards and we wish Amy well in the future. WCFD Fire Chief Jonathan Stafford describes FF Jamie Harkins' heroic actions to save the life of Amy Yozviak in early November 2017. 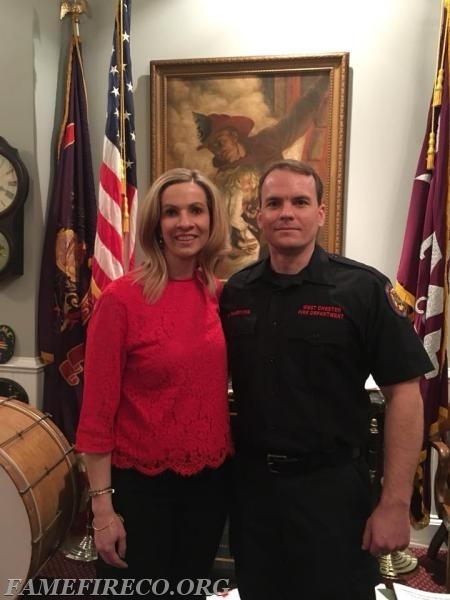 FF Harkins with Amy Yozviak, the victim he rescued from a terrible accident on Route 202 in November 2017.